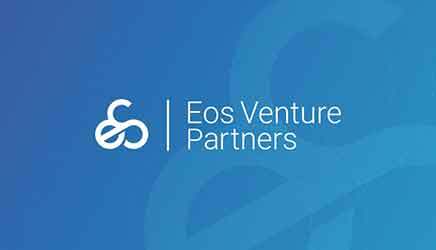 Eos Venture Partners provides financing and advisory services to leading entrepreneurs building innovative businesses in the insurance sector. We offer a unique solution for growth stage InsurTech companies. Founders are choosing to work with us because we are an independent, specialist and active investor, with a strong track record and excellent relationships across the insurance sector. RightIndem is an award winning InsurTech startup focused on transforming digital claims handling. RightIndem has pioneered Customer Managed Claims™ and has pilots with leading insurance companies in the UK, Europe and US. RightIndem’s Software as a Service (SaaS) platform puts the customer at the heart of their claim, enabling them to dictate the pace of the process, while providing simple status updates. This enables faster resolution and improves claim center productivity, enabling insurers to truly deliver on “the promise” that they make to each and every policyholder. Our end-to-end solution enables our clients to link a social media identity to an insurance identity, using data analytics to help improve customer targeting, conversion, sales, cross-sell and retention. We help insurers and brokers create social media advertising strategies that deliver real ROI from day one. We enable our clients to precisely target specific audiences, across both personal and commercial lines, to maximize brand exposure and drive customer actions. Neos is a people business, first and foremost. Our mission is to empower people to actively protect the things that matter most to them. Neos is focusing on preventing bad things from happening to good people. We’re using technology to create a smarter kind of home insurance that’s actively there for you, with your interests at heart – protecting what matters most in your world. We offer you a unique experience that comes with full transparency, simple terms, and at a fair price. We are carefully curating the Laka Community of fellow passionate cyclists. Being part of the Laka Community allows you to insure your gear and benefit from cycling promotions and events. As long as your insurance cover is active you are automatically part of the community. AssetVault’s mission is to protect and secure the linkages between cryptographic blockchain tokens and the real world. Backed by some of the most experienced and respected experts in the financial services and technology industries, AssetVault seeks to use AI, machine learning and blockchain technologies in order to enable the safe and secure tokenization of ALL the world’s real and digital assets, currently worth almost $255 trillion.